I posted this photo on Facebook last night and lots of friends were quite taken by my spiky-haired Lakeland pegs so I thought they ought to show their faces on my blog for posterity. The hoar frost we had earlier last week was mainly shrouded in an eerie cold fog but luckily we had one beautiful sunny morning which was enough to shove me out of the door and into the garden to take a few shots. 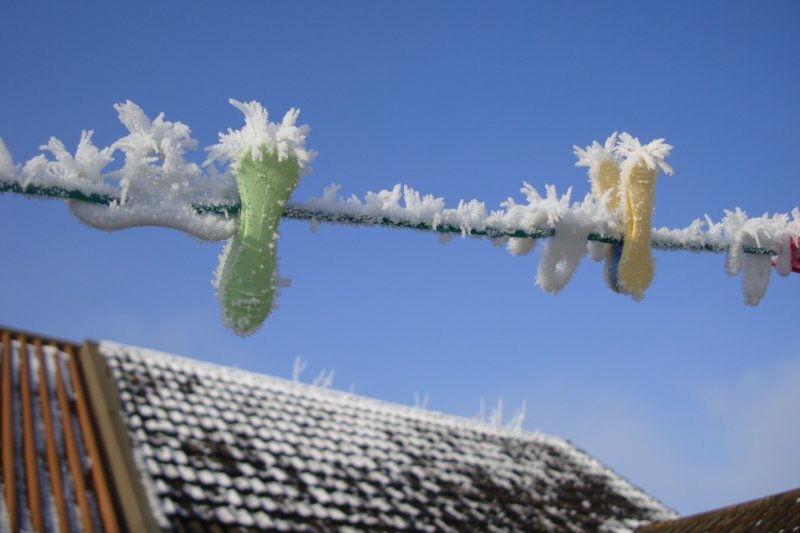 Does show me up rather, as I realise you can see I have left the pegs on the line for a good few months: it’s been tumble drier weather since about October. Here’s a selection of other photographs taken that morning before the lure of coffee, chocolate and a seat near the radiator brought me back indoors. 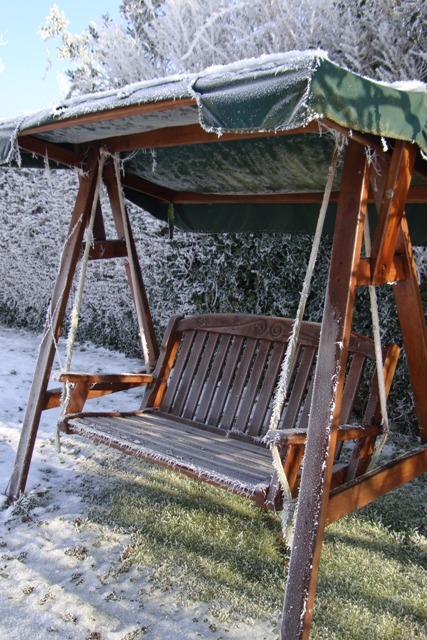 What a budding David Bailey!..the sky is so blue and the frost/snow looks so pretty – shame it is so ruddy horrible to function in…..and yes Trish shame on you re the pegs….don't you put them in a basket?? tsk tsk. 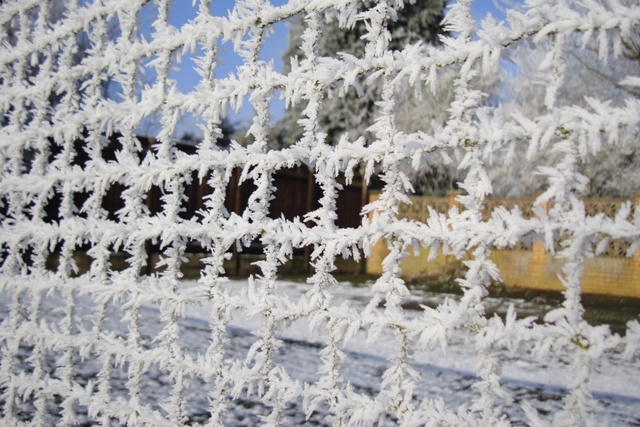 I took some photos of the hoar frost a couple of years ago too but I remember there was no sun so they didn't look as good as these. I should pretend I put the pegs on the line in anticipation of a good photo opportunity….. I was lucky with a good sunny day, Auntie Gwen. I still haven't mastered anything more than automatic mode with my camera. I took the peg photo by standing on tip-toe and getting very close to them! It is pretty, but I'm with you, I would rather look at it from inside a nice warm house! Today the temperature is 8 degrees and snowing where I am! UGH! I agree, I'm not good with the cold! Ha! Now that you mention it, they do bear a certain resemblance to my Man-Child! Excellent! 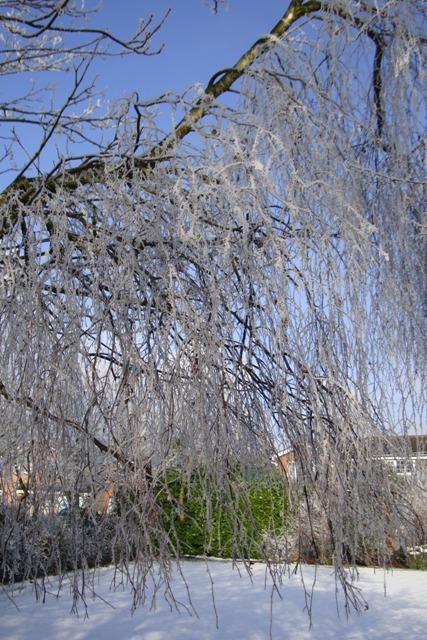 I know people rave about spring… but winter really does have its photogenic moments. It makes such a difference if the sun is shining – well, for my photos anyway. Gosh, they are nice – the colours in the first peg shot are lovely. Pleased I managed to contort myself so that I got the blue sky as a background. 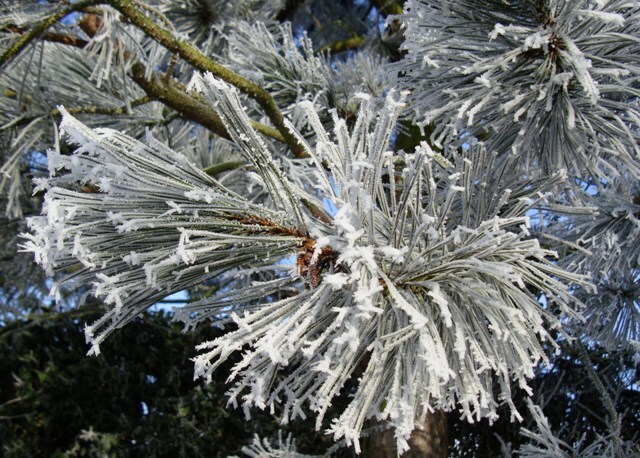 We never seem to get anything spiky and gorgeous like that hoarfrost – just standard snow and ice. 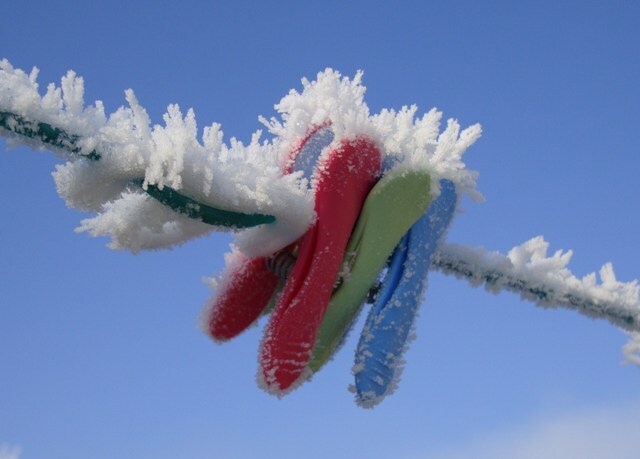 I just love the clothes peg photo – it looks like it should be on the cover of a magazine! Enjoying a few days of ice-free pavements – we got above freezing long enough to melt everything. Of course, we'll be dropping down again this weekend…sigh. I bought the pegs from a shop called Lakeland so decided to pop the peg photo on their Facebook wall. They liked it. 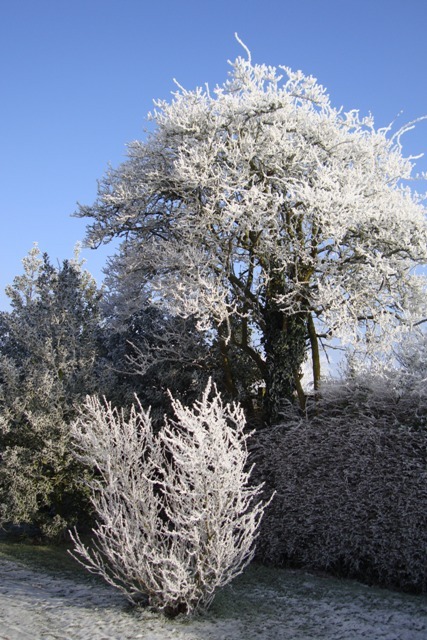 We have had a lot of snow following the frost last week but should be clearing by the weekend. Lovely pics! My drive to work was spectacular the other morning. It unfortunately I could t stop on the dual carriageway to take any photos! I thought that's what the hard shoulder was for! Sometimes it pays to be a slattern.